Fall is coming, and rains are coming with it! 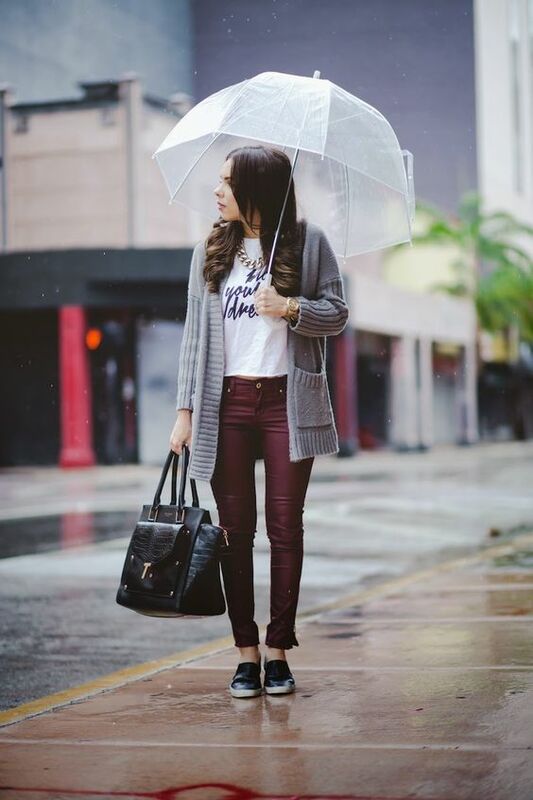 It may be a bit tricky to dress up on a rainy fall day but we are here to help you handle the weather. 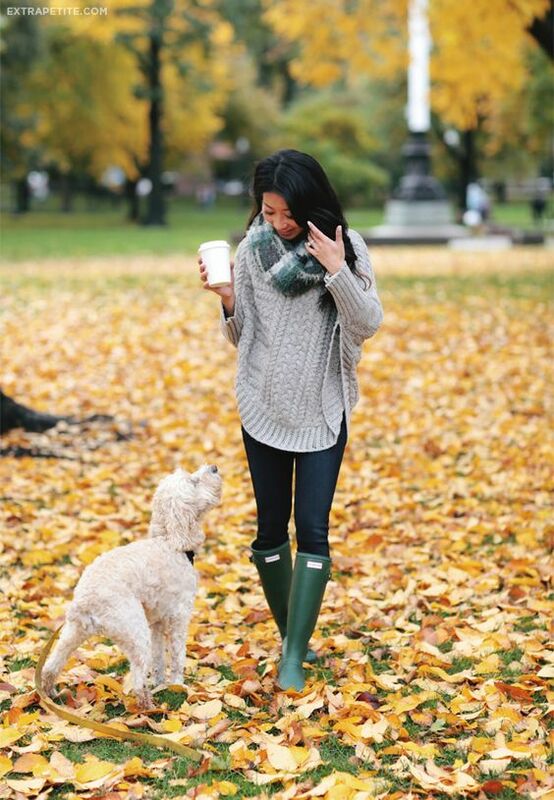 The main idea is your boots that will help you stay waterproof, rain boots are an absolute must! You can try black, red or even bold printed ones depending on your style. 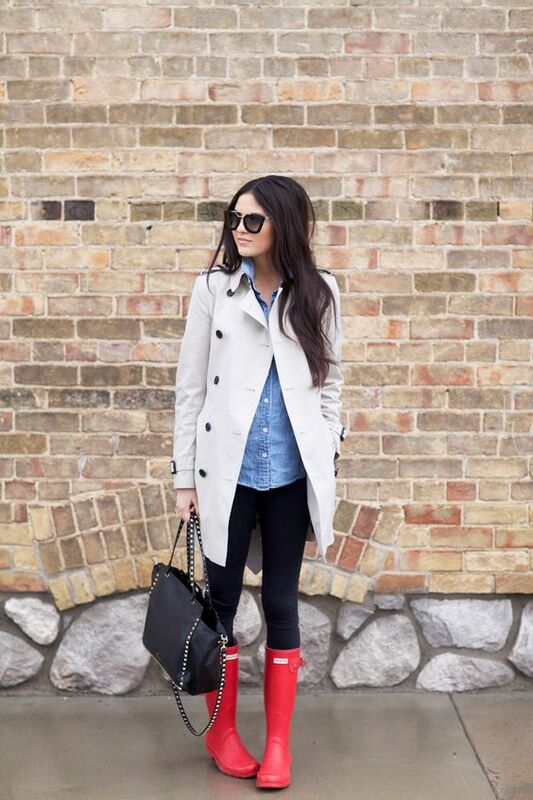 Duck boots are another cool alternative, not so bulky and great for casual leggings or jeans looks. 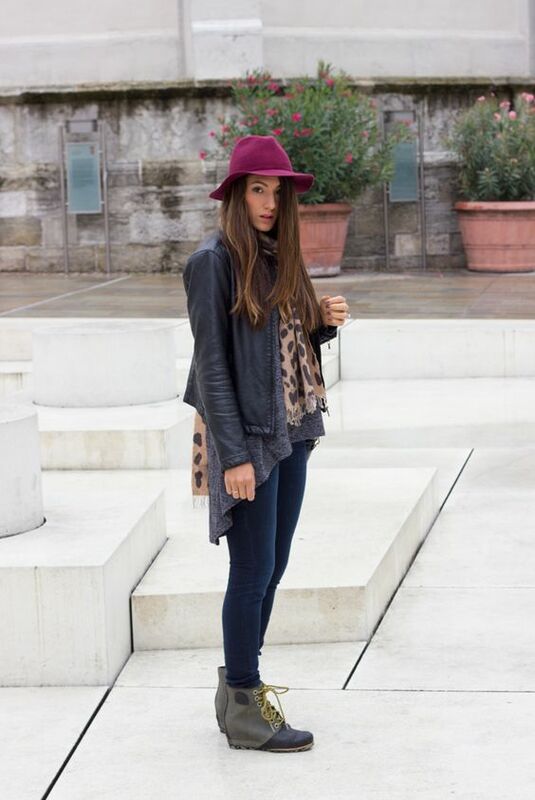 Ankle booties can be also rocked on rainy days, just try leather and not suede not to ruin them. Jeans or leggings will give you maximum comfort on this uncomfortable day. 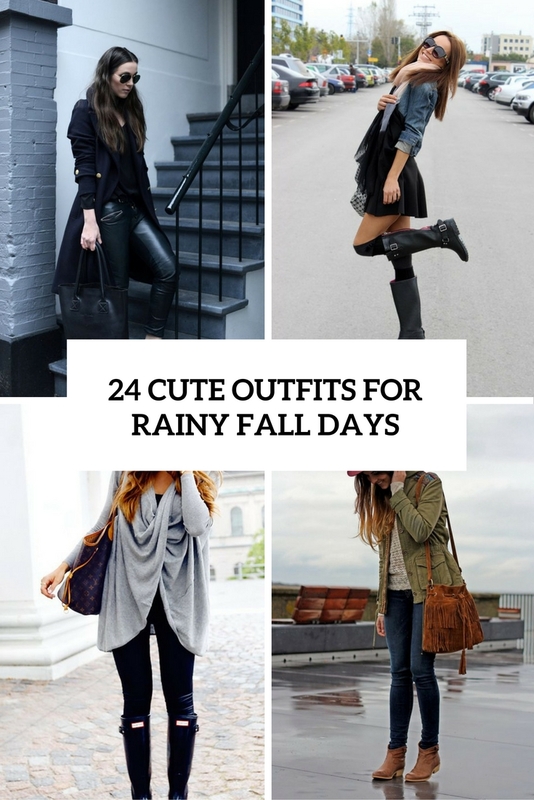 Put on a printed shirt, sweatshirt, add a pair of comfy rain boots and voila! Feeling a bit chilly? 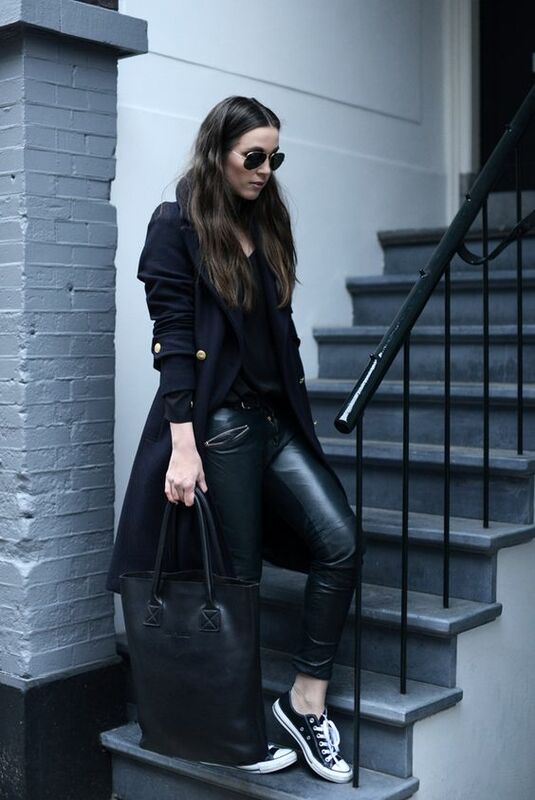 Put on an oversized cardigan, a leather jacket, a trench coat or just substitute your shirt with a sweater. You can also try an olive green jacket with a hood to keep your head dry. 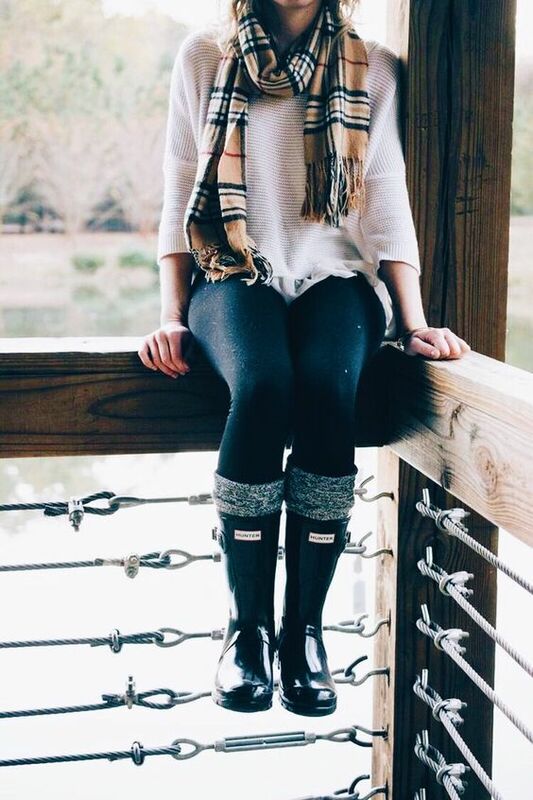 Comfy blanket scarves and beanies are welcome. 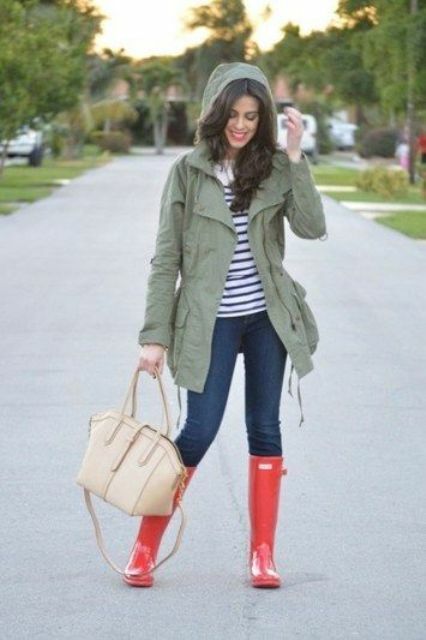 A skirt or a dress will be also a great idea here cause jeans can get wet if you aren’t wearing rain boots. Style your favorite summer dress with a comfy cardigan or a trench coat, or put on a skater skirt with some sweatshirt or a printed tee. If it’s cold, wear a sweater dress with a trench to look cool. 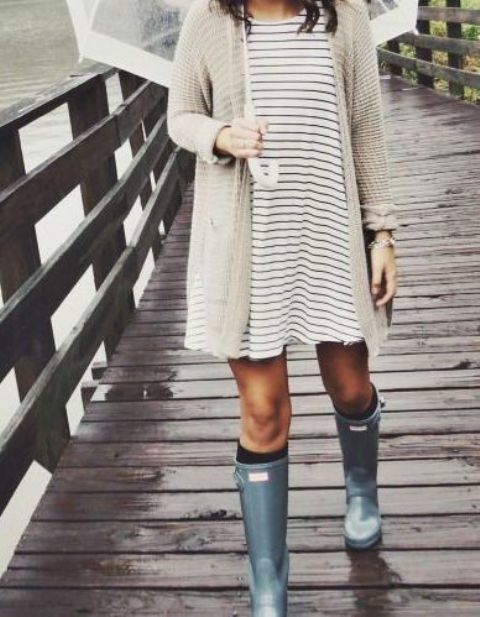 Not all types of dresses and skirts look good with rain boots, so be careful choosing or just take your favorite ankle ones.